There is nothing quite like a nice chilled glass of Sauvignon Blanc and this is manufactured widely throughout New Zealand. Just to show you how big Sauvignon Blanc is in the country there is the fact that 60% of the vineyards grape planting are for this wine. It is often regarded as one of the best wines in the world and some of the New Zealand manufacturers include Montana, Sacred Hill and Saint Clair. Chardonnay is produced in a number of different regions around New Zealand and all the winerys have their unique touches to make every bottle as different as possible. 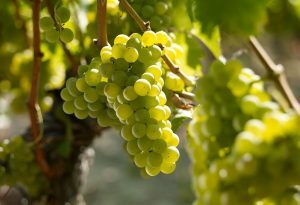 Chardonnay is a sweet but subtle taste that is often used to celebrate and “toast” different occasions. Some of the manufacturers of Chardonnay in the country include Church Road, Clearview, Hawkes Bay and Martinborough. Only just starting to become popular but now surging to the top of the ladder in New Zealand is Pinot Gris. This fragrant wine with sweet floral touches is well worth tasting if you have never tried it. Some manufacturers now producing this wine include Gisborne, Hawkes Bay and Marlborough. There are other white wines that are made in New Zealand, including the ever popular Riesling. Some other wines of this variety that are mostly produced in the south of the island include Chenin Blanc, Arneis and Sémillon. No matter what wine appeals for you, there is a lot of choice in this beautiful and cultured country.